Thanks to games like Journey and The Unfinished Swan, the PlayStation 3 has gained a reputation as the console to turn to for atmospheric downloadable titles which break free of violent stereotypes and deliver existential experiences. Rain is the next game Sony has prepped to follow up on this success and really wow us with. The game is being produced in house at Sony by SCE's Yuki Iketa and PlayStation C.A.M.P., the developers of PlayStation Network darling Tokyo Jungle. It might seem hard to take Rain so seriously with such a goofy title as Tokyo Jungle below this developer's belt, but if you look a bit deeper into that title, beyond just Pomeranians killing Tigers, then it too actually fits into this strange category of games. Rain follows a young boy seeking his lost female friend. The oddity is that this boy is a ghost and can only be visible when the rain creates his character outline, the only presence of a character model in the game. When indoors or during lulls in the storm, his footprints and the sound of his steps are the only means of his identity. SCE's Ken Suzuta said in an interview wth CVG that he and the developers at C.A.M.P. have also enjoyed Sony's successful string of downloadable games, and they are using the pressure to match their quality as inspiration for the Rain. "We feel very excited because it shows there's a market out there for people who download digital games. Obviously we want to make Rain as big as those titles. We do have that pressure but it motivates us to deliver a good game." 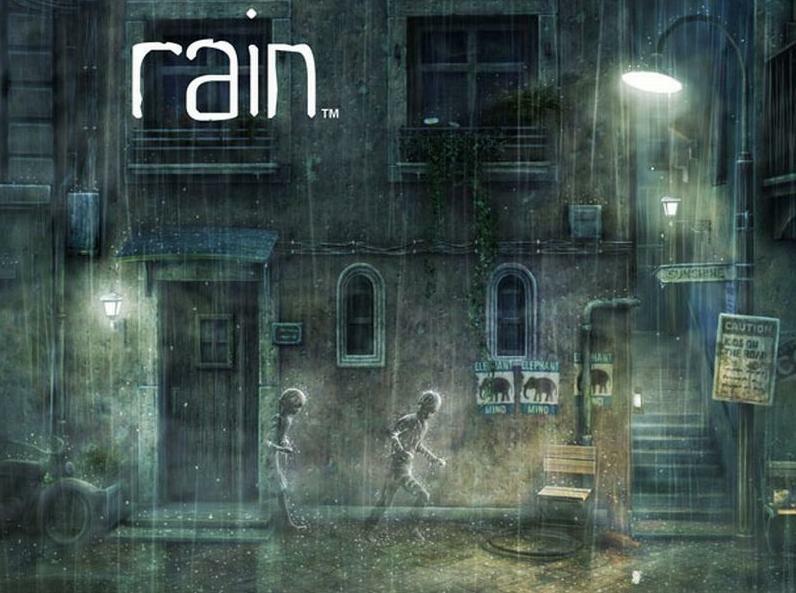 Rain will also be playable on the PS Vita. More to come as we hear about it. In the meantime, be sure to check out Tokyo Jungle to get a sense of where PlayStation C.A.M.P. is coming from.